October 30, 2012 by Fr. C.
A chapter of Anglicans for Life to include folks from St. Athanasius and St. Luke’s parishes is forming here at St. Alban’s. 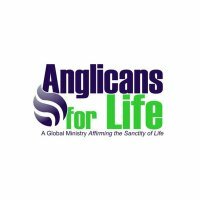 Anglicans for Life believes that, as Christians, we need to uphold the sanctity of every human life as a form of worship to God, our Creator. As believers, we need to understand all of the issues (abortion, stem cell research, end of life concerns, abstinence, and adoption) that threaten life in our culture—Anglicans for Life can be a vast resource for information on life! God, and not man, is the creator of human life. Therefore, from conception to natural death we will protect and respect the sanctity of every human life. Furthermore, we recognize that the unjustified taking of life is sinful, but God gives absolution to those who ask for His forgiveness. A brief organizing meeting will be held after the 11 am Mass on Sunday, November 25th.